<h2>Paris is named the 2017 innovation capital of Europe</h2><br /><p><strong>Winner: Paris, France</strong></p> <p><img class="@alignleft@" title="Credit – Station F / Patrick Tourneboeuf" src="https://horizon-magazine.eu/sites/default/files/STATION%20F_Paris_1.jpg" alt="Credit – Station F / Patrick Tourneboeuf" width="1200" height="800" /></p> <p>Paris&nbsp;is home to Station F, the world’s largest start-up&nbsp;campus, which is located in a former railway depot the size of the Eiffel Tower laying down. There is room to house more than 1&nbsp;000 start-ups as well as founder companies such as Microsoft and Facebook. The city also has a so-called innovation arc, a network of projects spanning Paris, including small workshops known as FabLabs and an urban farm where people can grow vegetables and learn to reduce food waste.</p> <p>&nbsp;</p> <p><strong>Runner-up: Tallinn, Estonia</strong></p> <p><img class="@alignleft@" title="Credit – Starship " src="https://horizon-magazine.eu/sites/default/files/Tallinn.jpg" alt="Credit – Starship " width="5760" height="3840" /></p> <p>In Tallinn, you can find robots delivering parcels and self-driving cars in action. The city is also working on plans to enable people to travel to Helsinki, Finland in under 10 minutes thanks to an underwater tube with pods on electromagnets that can travel up to 1&nbsp;100 kilometres per hour. Residents already perform most transactions online, and the city’s focus on digital has extended to offering e-residency of Tallinn, where people from all over the world can register to start and run a global business in the EU.</p> <p>&nbsp;</p> <p><strong>Runner-up: Tel Aviv, Israel</strong></p> <p><img class="@alignleft@" title="Credit - Flytrex" src="https://horizon-magazine.eu/sites/default/files/Tel%20Aviv.jpg" alt="Credit - Flytrex" width="1640" height="624" /></p> <p>Drone delivery-service company Flytrex, which is creating software so a fleet of drones does not need to be manually operated, is one of more than 1 700 start-ups in Tel Aviv. Part of the reason the city is home to so many small businesses is that it has a very high concentration of accelerator programmes for start-ups – 84 to be exact – and a tenth of city dwellers work in technology. Plus, the city has created a DigiTel portal so that its residents can get personalised information through text message, email, post or website, such that if a bridge they usually take is under construction or if kindergarten registration is opening soon.</p> <p>&nbsp;</p> <p><strong>Shortlisted: Aarhus, Denmark</strong></p> <p><img class="@alignleft@" title="Credit - Lodige Industries GmbH" src="https://horizon-magazine.eu/sites/default/files/Aarhus.jpg" alt="Credit - Lodige Industries GmbH" width="1500" height="1000" /></p> <p>After you’ve paid a fee, robots in a three-story underground parking lot in Aarhus take two minutes to pick up your car and park it for you. This is Europe’s largest completely automated parking facility, which can hold 1&nbsp;000 cars, and is located underneath the Dokk1 library, a community space where people can discover new technologies, including drones and a humanoid robot. Plus, the library building itself was designed to be environmentally friendly, with natural, recyclable construction materials, cooling systems that run on seawater, and a 2 432 square metre solar panel on the roof.</p> <p>&nbsp;</p> <p><strong>Shortlisted: Berlin, Germany</strong></p> <p><img class="@alignleft@" title="Credit - Einstein Center Digital Future/Kay Herschelmann" src="https://horizon-magazine.eu/sites/default/files/Berlin_0.jpg" alt="Credit - Einstein Center Digital Future/Kay Herschelmann" width="1200" height="800" /></p> <p>Berlin has recently put EUR 38.5 million into a new project to connect the German capital’s universities and research institutions. They have created a centre, called Einstein Center Digital Future, the goal of which is to research the digitialisation of society. Topics up for investigation include figuring out what people actually need and use to get around a city, and what the future of artificial intelligence might be in Berlin.</p> <p>&nbsp;</p> <p><strong>Shortlisted: Copenhagen, Denmark</strong></p> <p><img class="@alignleft@" title="Credit - DOLL - Danish Outdoor Lighting Lab / Nicolai Perjesi" src="https://horizon-magazine.eu/sites/default/files/Copenhagen.jpg" alt="Credit - DOLL - Danish Outdoor Lighting Lab / Nicolai Perjesi" width="5184" height="3456" /></p> <p>Denmark’s capital city, Copenhagen, only sees about nine hours of daylight around the winter solstice in December, which means outdoor lighting is particularly important. The Danish Outdoor Living Lab is testing out more than 80 different lighting systems, including solar- and wind-powered systems for smart lighting. They are also looking at how to connect the city together through a network of sensors to improve living conditions. One plan is to put sensors on lampposts to monitor traffic jams, street parking and emergency situations, and embed others in pavement to monitor icy conditions and when the city should put down more salt.</p> <p>&nbsp;</p> <p><strong>Shortlisted: Helsinki, Finland</strong></p> <p><img class="@alignleft@" title="Credit - Digitalents Helsinki, CC BY 4.0" src="https://horizon-magazine.eu/sites/default/files/Helsinki_Digitalents.jpg" alt="Credit - Digitalents Helsinki, CC BY 4.0" width="1600" height="1067" /></p> <p>Helsinki is home to Digitalents, a community that helps young people learn coding, game development and new media skills and create their own service companies. This is just one of many start-up businesses in the Finnish capital, of which more than 85 are based in the former hospital-turned-tech-hub Maria 01. The city also boasts&nbsp;68 innovation schools as well as Supercell,&nbsp;creator of the Clash of Clans game for mobile phones, which is the first European start-up to be valued at more than USD 10 billion (EUR 8.5 billion).</p> <p>&nbsp;</p> <p><strong>Shortlisted: Nice, France</strong></p> <p><img class="@alignleft@" title="Credit - Enedis - Côte d'Azur" src="https://horizon-magazine.eu/sites/default/files/Nice.jpg" alt="Credit - Enedis - Côte d'Azur" width="1800" height="1192" /></p> <p>More than 30&nbsp;000 people in Nice, France, are testing out a new, flexible electricity grid&nbsp;which uses energy drawn from a network of solar panels, stores and releases excess energy via batteries, and adapts supply to customer behaviour. This is one of six flagship projects across the city which also include a centre for victim assistance, two start-up accelerators, a research centre for smart cities, and health innovation lab called 27 Delvalle, which is using the Internet of Things to make elderly people more autonomous.</p> <p>&nbsp;&nbsp;</p> <p><strong>Shortlisted: Tampere, Finland</strong></p> <p><img class="@alignleft@" title="Credit - City of Tampere / Hanna Kirmanen" src="https://horizon-magazine.eu/sites/default/files/Tampere.jpg" alt="Credit - City of Tampere / Hanna Kirmanen" width="4266" height="3168" /></p> <p>A&nbsp;former industrial district in the Finnish city of Tampere will soon be a carbon-neutral development for 25&nbsp;000 residents. It will also be home to 10&nbsp;000 workers whose jobs relate to the circular economy, which aims to reuse the waste that’s created from one process as the raw materials for another. In the same district, the Kulttuuritila Kuivaamo cultural centre will have a dry toilet system and the Tampere University of Technology will study microalgae collected from the system.</p> <p>&nbsp;&nbsp;</p> <p><strong>Shortlisted: Toulouse, France</strong></p> <p><img class="@alignleft@" title="Credit – IoT Valley" src="https://horizon-magazine.eu/sites/default/files/Toulouse.jpg" alt="Credit – IoT Valley" width="1200" height="800" /></p> <p>The city of Toulouse in southern France has built the IoT Valley in order to become a hub for the Internet of Things, where everyday objects such as household appliances and cars are connected via the internet. This is part of the city’s plan to become a so-called smart city, helped by a EUR 500 million investment for initiatives such as smart lighting, 4G availability in the metro and wifi throughout the city. Toulouse also aims to become more eco-friendly by 2030 by reducing emissions by 40 % compared to 1990 figures, decreasing energy consumption by 20 % compared to 2012, and sourcing 32 % of its energy from renewable sources.</p> <p><em>If you liked this article, please consider sharing it on social media.</em></p> <br /> <img src=”http://www.google-analytics.com/collect?v=1&tid=UA-40077089-1&cid=paris-is-named-the-2017-innovation-capital-of-europe&t=event&ec=republish&ea=read&el=paris-is-named-the-2017-innovation-capital-of-europe&cs=republish&cm=republish&cn=republish&cm1=1" /> This post <a href="https://horizon-magazine.eu/article/paris-named-2017-innovation-capital-europe.html">Paris is named the 2017 innovation capital of Europe</a> was originally published on <a href="https://horizon-magazine.eu/">Horizon: the EU Research &amp; Innovation magazine | European Commission</a>. Paris, France, has been named 2017's European Capital of Innovation thanks to an 'inclusive innovation strategy', which saw it scoop the EUR 1 million first prize in the EU's iCapital awards. The awards, which are designed to recognise the most innovative cities in EU countries and those associated to the Horizon 2020 funding programme, were announced on 7 November at the Web Summit in Lisbon, Portugal. Two runner-up prizes of EUR 100 000 were awarded to Tallin, Estonia and Tel Aviv, Israel, and the prize money will be used to scale up and further expand the cities' innovation efforts. 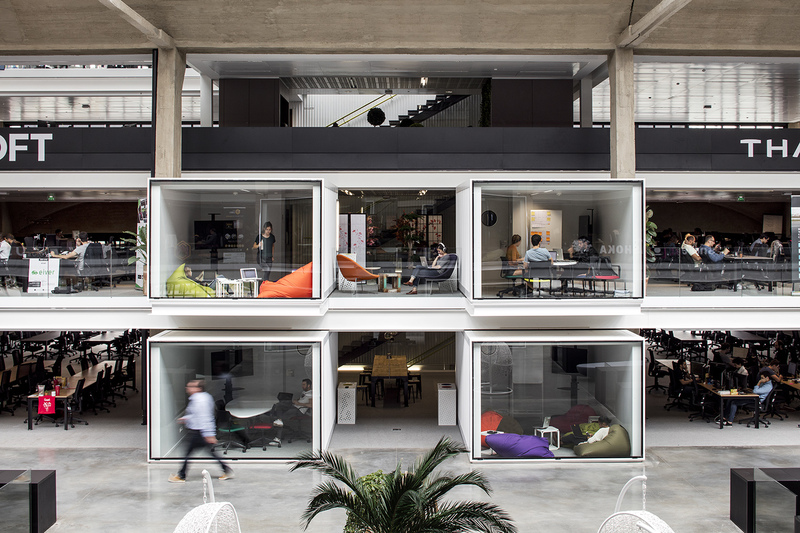 Paris is home to Station F, the world’s largest start-up campus, which is located in a former railway depot the size of the Eiffel Tower laying down. There is room to house more than 1 000 start-ups as well as founder companies such as Microsoft and Facebook. The city also has a so-called innovation arc, a network of projects spanning Paris, including small workshops known as FabLabs and an urban farm where people can grow vegetables and learn to reduce food waste. In Tallinn, you can find robots delivering parcels and self-driving cars in action. The city is also working on plans to enable people to travel to Helsinki, Finland in under 10 minutes thanks to an underwater tube with pods on electromagnets that can travel up to 1 100 kilometres per hour. Residents already perform most transactions online, and the city’s focus on digital has extended to offering e-residency of Tallinn, where people from all over the world can register to start and run a global business in the EU. Drone delivery-service company Flytrex, which is creating software so a fleet of drones does not need to be manually operated, is one of more than 1 700 start-ups in Tel Aviv. Part of the reason the city is home to so many small businesses is that it has a very high concentration of accelerator programmes for start-ups – 84 to be exact – and a tenth of city dwellers work in technology. Plus, the city has created a DigiTel portal so that its residents can get personalised information through text message, email, post or website, such that if a bridge they usually take is under construction or if kindergarten registration is opening soon. After you’ve paid a fee, robots in a three-story underground parking lot in Aarhus take two minutes to pick up your car and park it for you. This is Europe’s largest completely automated parking facility, which can hold 1 000 cars, and is located underneath the Dokk1 library, a community space where people can discover new technologies, including drones and a humanoid robot. Plus, the library building itself was designed to be environmentally friendly, with natural, recyclable construction materials, cooling systems that run on seawater, and a 2 432 square metre solar panel on the roof. Berlin has recently put EUR 38.5 million into a new project to connect the German capital’s universities and research institutions. They have created a centre, called Einstein Center Digital Future, the goal of which is to research the digitialisation of society. Topics up for investigation include figuring out what people actually need and use to get around a city, and what the future of artificial intelligence might be in Berlin. Denmark’s capital city, Copenhagen, only sees about nine hours of daylight around the winter solstice in December, which means outdoor lighting is particularly important. The Danish Outdoor Living Lab is testing out more than 80 different lighting systems, including solar- and wind-powered systems for smart lighting. They are also looking at how to connect the city together through a network of sensors to improve living conditions. One plan is to put sensors on lampposts to monitor traffic jams, street parking and emergency situations, and embed others in pavement to monitor icy conditions and when the city should put down more salt. Helsinki is home to Digitalents, a community that helps young people learn coding, game development and new media skills and create their own service companies. This is just one of many start-up businesses in the Finnish capital, of which more than 85 are based in the former hospital-turned-tech-hub Maria 01. The city also boasts 68 innovation schools as well as Supercell, creator of the Clash of Clans game for mobile phones, which is the first European start-up to be valued at more than USD 10 billion (EUR 8.5 billion). More than 30 000 people in Nice, France, are testing out a new, flexible electricity grid which uses energy drawn from a network of solar panels, stores and releases excess energy via batteries, and adapts supply to customer behaviour. This is one of six flagship projects across the city which also include a centre for victim assistance, two start-up accelerators, a research centre for smart cities, and health innovation lab called 27 Delvalle, which is using the Internet of Things to make elderly people more autonomous. A former industrial district in the Finnish city of Tampere will soon be a carbon-neutral development for 25 000 residents. It will also be home to 10 000 workers whose jobs relate to the circular economy, which aims to reuse the waste that’s created from one process as the raw materials for another. In the same district, the Kulttuuritila Kuivaamo cultural centre will have a dry toilet system and the Tampere University of Technology will study microalgae collected from the system. The city of Toulouse in southern France has built the IoT Valley in order to become a hub for the Internet of Things, where everyday objects such as household appliances and cars are connected via the internet. This is part of the city’s plan to become a so-called smart city, helped by a EUR 500 million investment for initiatives such as smart lighting, 4G availability in the metro and wifi throughout the city. Toulouse also aims to become more eco-friendly by 2030 by reducing emissions by 40 % compared to 1990 figures, decreasing energy consumption by 20 % compared to 2012, and sourcing 32 % of its energy from renewable sources.